While volumetric filling machines do not offer the same data tracking capabilities as net weights, they do have distinct advantages which make them popular among certain clients and in specific environments. Due to the fact that volumetric filling machines do not require a substantial pause before and after filling to weight the cans (as is the case with net weight machines) the overall fill cycle time is typically faster. The double-acting pumps that ABA manufactures also help to contribute to the speed of the machines. Double acting pumps mean that there is always liquid on both sides of the piston which, aside from increasing the lifespan of the pump and parts, also means that they are more efficient at pumping and require less stroke lengths to completely fill containers. 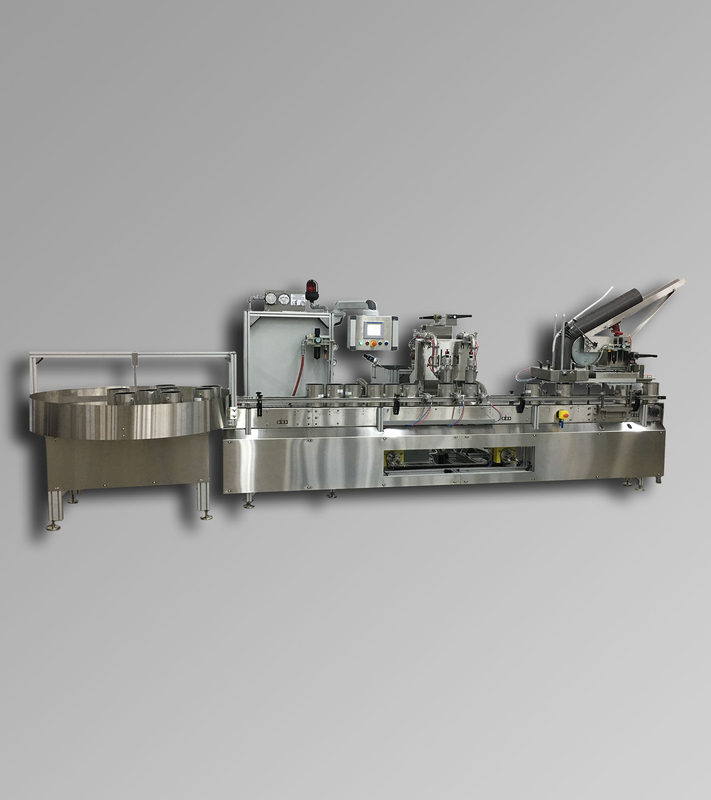 Volumetric filling machines are inherently less costly than net weight fillers because they feature far less equipment and especially electronics. Therefore, volumetric machines can be a good choice for a lower or more restricted budget while still fulfilling the needs for high speeds and accurate fills. Finally, the fill volume on a volumetric filling machine is adjusted using turrets located on the pumps. These are clearly marked and easy to move and make changeovers fast and easy. Unlike a net weight filling machine which has a larger technical component to use and master, volumetric filling machines are easy to use, changeover, and tune.